This post may contain affiliate links. Please read our affiliate disclaimer for more information. It’s the most wonderful time of the year. And for many, it’s the most financially stressful time of year. 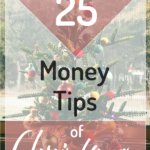 So we’re sharing our top 25 money tips in honor of the 25 Days of Christmas. Our goal is to put a positive spin on finances at a time when our bank accounts may have us feeling slightly more negative than usual. Let’s stop dwelling on what we should or shouldn’t have spent this year. And instead, let’s make this a time of reflection that focuses on progress, not perfection. So here’s our 25 tips to wrap up 2018 and get your financial journey headed in the right direction for the upcoming year. Spending less than you earn sounds great. But for some reason, it’s much harder to implement than it should be. 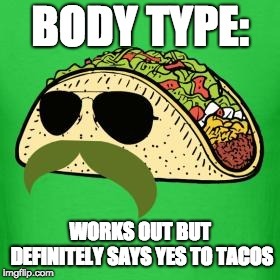 Cutting back on your spending is a mental hurdle that ranks right up there with saying no to another taco. So here are a couple of things that have helped me reign in my spending. I recently started bullet journaling every morning, and I incorporate a “gratitude list” into this routine. It’s just a running list where I write down at least one thing a day I’m grateful for. It might be something as monumental as my family, or as minuscule as a funny coffee mug. But this one simple act has really helped me be more content with what I have. And when you’re content with what you have, it’s much easier to walk away from frivolous purchases. The second thing that’s helped me say “no” to all the french bulldog paraphernalia calling my name from the store shelves is this groundbreaking concept: Just because you love something doesn’t mean you have to buy it. You can fall in love with an item and still leave it sitting right where it is in the store. And guess what! You can even get home, really wish you had bought that item, and are you ready for this?… YOU SURVIVE. I know, I was shocked too. Denying ourselves things we want is a great act of discipline. And I usually feel much more satisfied that I was able to say “no” and control my spending than I would have if I actually purchased the item. For more tips on spending less, check out this article on figuring out what you actually want. There are so many things that fall under this category, but one we feel particularly strong about is pet loans. If you have even half-way considered taking out a loan to buy a pet, pinch yourself, come back to reality, and keep an eye out for a MO$ post covering the ongoing costs of the True Zoo. Spoiler alert. THE ZOO AIN’T CHEAP. Now don’t get the wrong idea. We love animals. 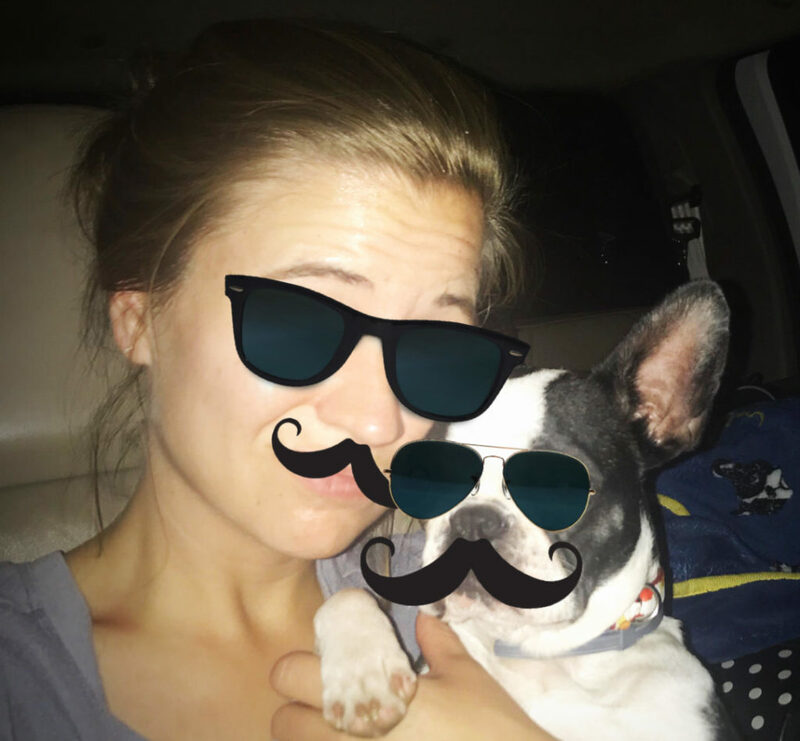 We are crazy pet parents and proud of it. 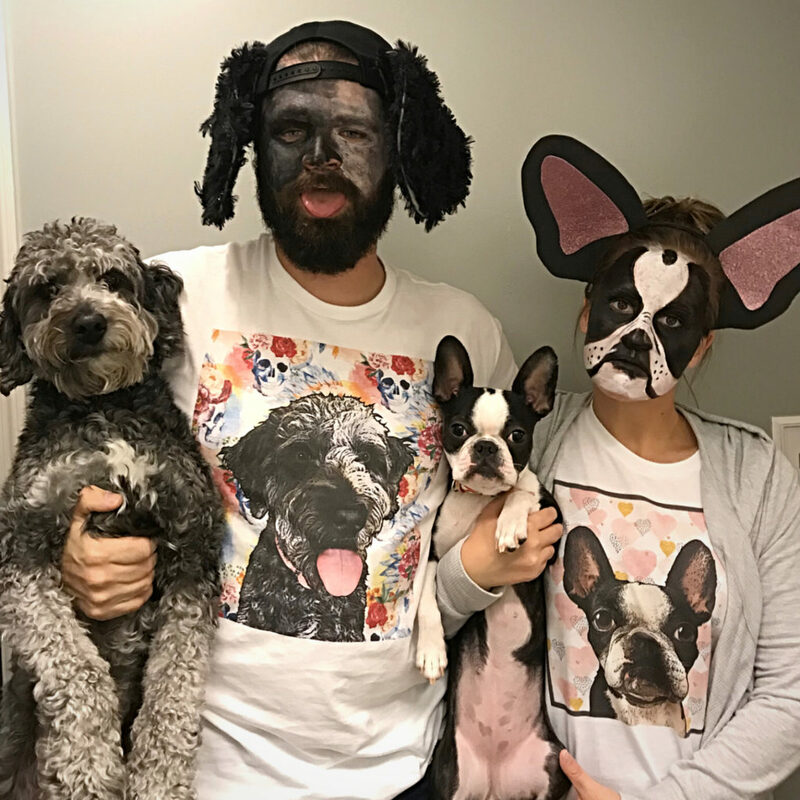 Every responsible pawrent dresses up as their dogs for Halloween, right? 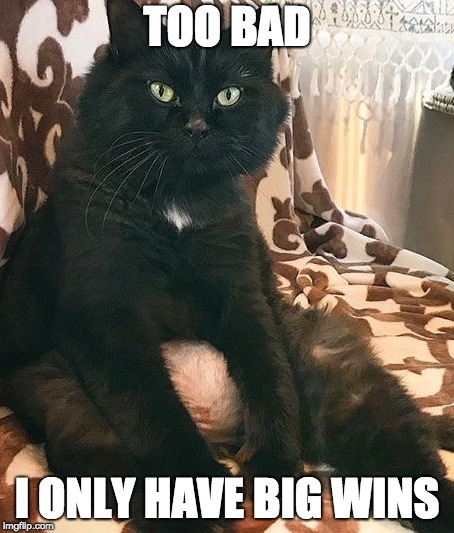 But if you can’t afford the initial adoption fees, breeder costs, or whatever comes into play for your potential new pet, then you canNOT afford to care for that pet long-term. This concept isn’t limited to pets. It extends to houses that are bigger than we need and come with unnecessary maintenance costs, cars that are newer and more luxurious than we can afford, a new wardrobe to help us in our attempt to be the person we wish we were… and the list goes on and on. Don’t fall into the trap! Debt outside of a mortgage or medical crisis is almost never necessary or a good idea. So don’t even let yourself view it as an option. If you’re currently in over your head with debt, don’t feel discouraged! You’re in control and can change your situation. Work on building up an emergency fund to prevent yourself from going further into debt. Then start chipping away at those payments little by little. Debt falls under the category of “hand-me-down thinking.” AKA concepts the majority of previous generations believe to be true, so we tend to believe them too. Oh boy… entitlement… another issue for another day. So let’s get back to the point. Debt doesn’t have to be a given. It’s easy to think, “Well, everyone has a car loan, or student loans, or credit card debt.” The list goes on and on. But you should always question these assumptions. Maybe you don’t want the life you see all these other people living – drowning in stuff they don’t need and debt they don’t want. Nick and I are so happy and thankful to have our Saturn Vue with 196k miles and Ford F-250 with 200+k miles. And before that, we were thankful to have a hand-me-down, oil-leaking Honda Civic with duck tape holding up the bumper. In our minds, any car that comes without a monthly payment is a good car. We’d much rather spend our money on trips, a downpayment for a house, or just investing for retirement. With a little “outside the box” thinking, you may find you can avoid a lot of the debts most people consider customary. Many of us think that saving gets easier with a bigger income. But assuming your current income covers the basic necessities of life (AKA food, water, and shelter), this just isn’t the case. If you don’t develop the habit of saving with a small income, you probably won’t develop the habit even if your income becomes huge. So don’t wait until your next job or your next promotion to develop the discipline of saving. At the very least, try to invest enough in your 401k to get the full employer match. If that doesn’t apply to you, then just make a point to save SOMETHING every single month. Maybe you only have $5 a month to spare after paying your rent, electric, gas, and grocery bills. That’s ok. Start small. This habit forms the foundation of your future financial success. For this, Nick and I like to use a software called YNAB (short for You Need A Budget). There are lots of different ways to budget and even more tools to help you stick to your budget. You really can’t go wrong as long as you’re taking control of your money. You just have to find what works for you. 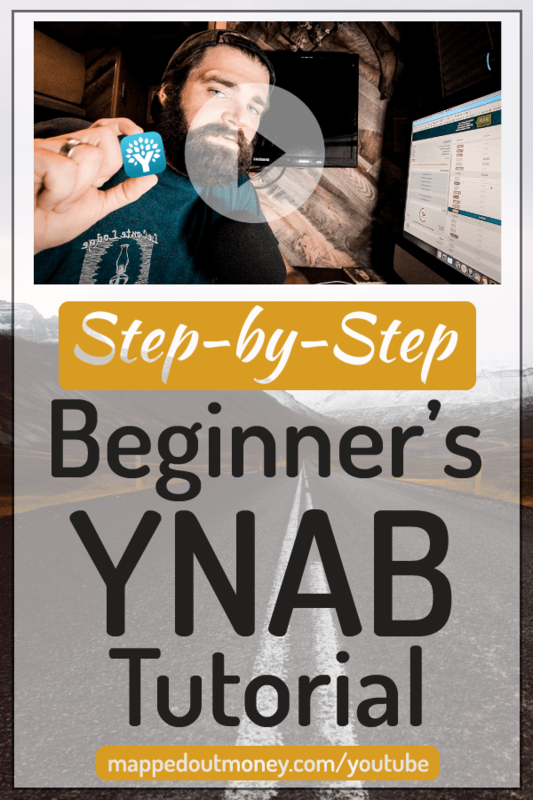 One feature that sold us on YNAB is their smartphone app. It allows Nick and I to see our up-to-date budget anytime, anywhere. This makes staying on budget and making wise purchase decisions WAY EASIER. And it’s definitely an important feature for couples trying to manage their money together. So take some time to research budget methods and find one that works for you (and your spouse, if you’re married). This is an investment of time and effort that will serve your finances well for the entirety of your life. Alright, those first 5 tips are pretty basic… and to be honest, kind of boring. So let’s dive in a little deeper and discuss some tips that may be a little less familiar. Research shows that money actually can buy happiness… IF you use it in the right way. So what’s the right way, exactly? In order to have a positive impact on your happiness, you need to use money to pay for services that remove negatives from your life. 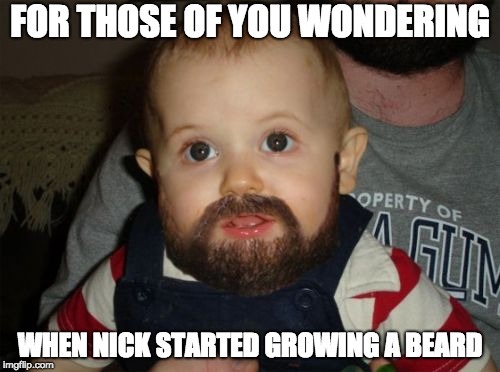 For example, paying somebody to clean your bathroom will increase your happiness more than buying a new pair of shoes… especially if it’s a bathroom you share with Nick True and his beard. Just sayin’. Sometimes it’s hard to figure out what you want. We’ve all experienced this when trying to decide where to go to dinner with our spouse or a group of friends. Us humans tend to be much better at deciding what we DON’T want. So if you’re struggling to think about what you want your future to look like and how your money plan needs to support that vision, start by identifying what you don’t want your future to look like. Then work backward. Maybe you work with somebody who has sacrificed their family, their health, and their own values in order to work 60+ hour weeks… all to afford things they don’t need and rarely get to enjoy. If that’s not the situation you want to be in 40+ years down the road, then figure out how to take the opposite actions. Starting with the things you don’t want is a great foundation to eventually figure out what you do want. Don’t try to leap from saving nothing to saving 20% of your income all at once. That’s like trying to run a marathon without any training. Instead, start out by saving 1-2% of your income. Then increase it a little bit each month. 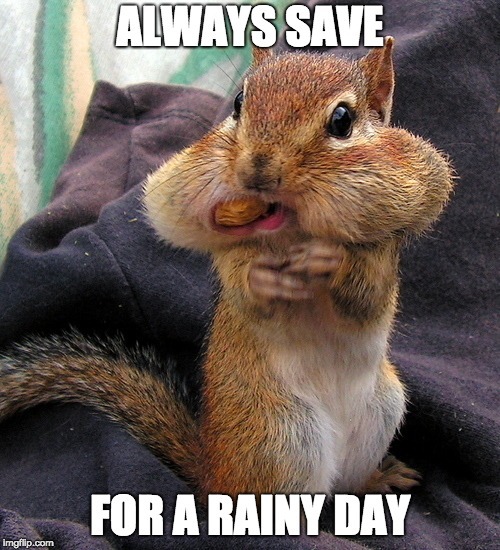 We recommend automating your savings so it’s not even a decision you think about every month. Then when you look back a few years from now, you’ll be pleasantly surprised by how much a little bit really does add up. Find somebody who has achieved some of the things you want to achieve. Use them as inspiration and confirmation that your goals are possible. Recognize that if they did it, you can do it too. When Nick and I first began dreaming of full-time RV life, we found Michelle Schroeder. And for the first time, we truly started to believe we could make that dream a reality. 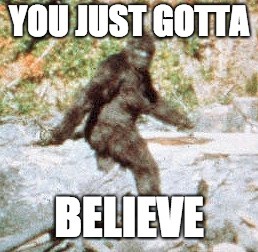 As cheesy as it sounds, believing in your own dreams is a key foundation for achieving success. Nick may need to reconsider because Margo and I are clearly city folk. For instance, Nick loves the idea of living in New York… a bustling city filled with entrepreneurial spirits and never-ending entertainment options. But in reality, he really just wants a vacation to New York. The high cost of living, the lack of outdoor space, and the endless fast-paced lifestyle just don’t suit us. Take time to analyze what you think you want with the reality of that particular thing. Maybe you think you want a pool. Think about the high cost of maintenance throughout the year, trying to get your chemicals regulated after a long vacation, and the fact that a lot of days your pool will sit unused. Sometimes the idea of something is much better than the reality. It’s totally fine if you decide a pool (or whatever you’re thinking about) is worth the hassle. Just make sure you’re making an informed decision. 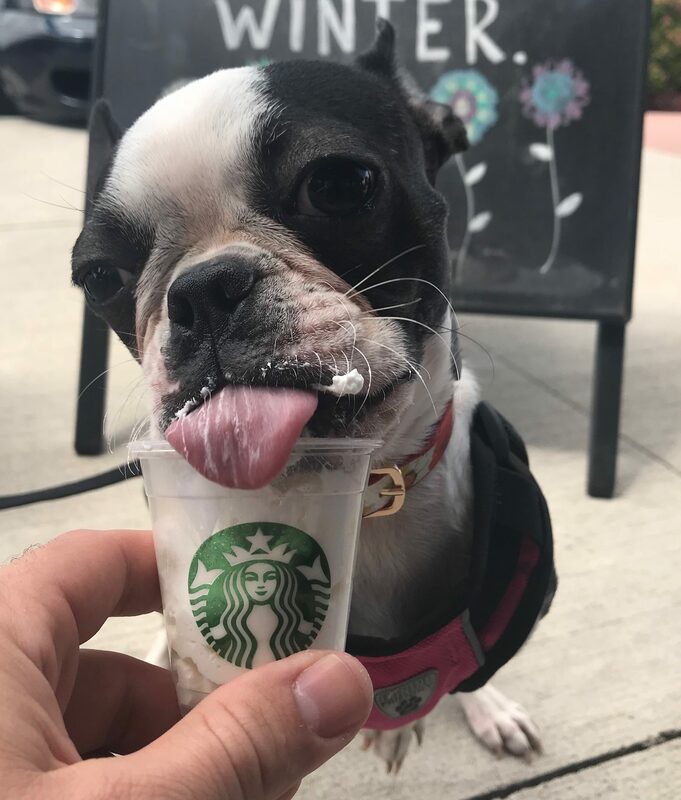 Margo always says “YES!” to a coffee shop date. In other words, question what you actually like about the things you want. We like going out to eat. But we’ve figured out we care much more about the atmosphere and overall experience than we do the food. So if we’re in the mood to go out and our hearts say “yes!” but our budget says “NNNOOOOO”… well, we can often get the same effect by going to a cool coffee shop and ordering a $2 black coffee. 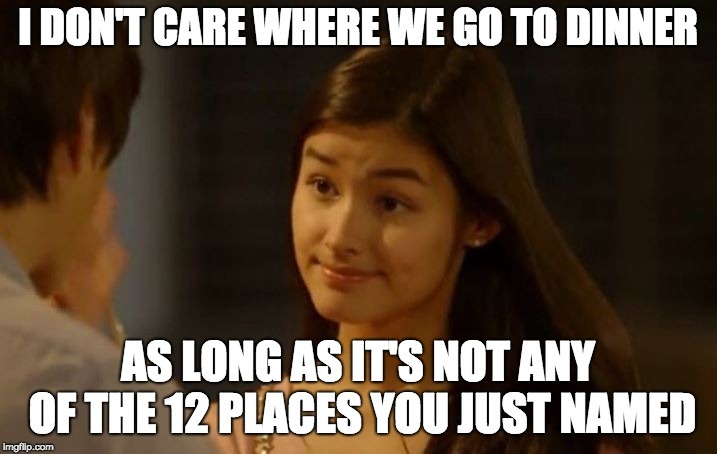 We still get to spend time together in a unique environment, we just do it without paying for an entire dinner out. Focus on experiences that maximize the aspects that are most important to you. That way you’ll optimize the amount of enjoyment you get from your money. Harvard Business Review did a study on workplace performance. Their findings? Of all the things that can boost emotion, motivation, and perception during the workday, the single most important factor is making progress toward meaningful work. Notice that word “progress.” It’s not achieving a goal, it’s simply making progress. Maybe you were able to put $500 extra in your emergency fund this month because you cut down on your “Fun Spending” category. Treat yourself to a fancy coffee and reflect on what made this month such a success and how you can make next month even better. Taking the time to celebrate your progress will keep you on track to achieve your goals. And it helps you enjoy the journey along the way! Normally I would preach, “Don’t compare yourself to others!” But after listening to an episode of the Jordan Harbinger Show featuring Gabriel Mizrahi, I’m convinced comparison is inevitable AND there’s a healthy way to do it. We don’t actually compare ourselves to others. We compare IDEAS about ourselves to our IDEAS and pre-conceived notions about others. Why am I making the comparison? Am I trying to understand or confirm something about myself? What conclusions am I drawing about myself and others? This is a great podcast episode that goes into a ton more detail than I have here. So definitely listen to it when you get a chance. They even have a free, downloadable worksheet to help get you out of the spiral of unhealthy comparisons. Just remember, you have different circumstances and goals than the people around you. So don’t allow unhealthy comparisons to distract you from the things that actually matter in your life. Even if you have minimal income or you’re going through a financially stressful time, always try to give something. You may even decide to give time instead of money. The act of giving helps you to be grateful for everything you do have in your life. And it reminds you there’s always somebody that you can help in one way or another. One of Nick friend’s organized an awesome YouTube collaboration to encourage people to get out and give. You can find Nick’s video here. And make sure to check out the video description for links to other “Random Acts of Kindness” collaborators. Using a budgeting software with a reporting function makes this really simple. All you have to do is enter your transactions, and the software will do the rest! And you’ll be able to look back on years of your spending habits and see where you might want to make adjustments. I’ve heard some people say they hate tracking their spending because they cringe at how much they spend on x-category. But that’s exactly why this information is so valuable. If you cringe at how much you spend eating out, then clearly you don’t value that activity to the extent that you’re spending on it. So budget less to that category, and more to your summer vacation or retirement fund. Knowledge is power. Know where your money is going. And make adjustments until you’re happy with what your reports show. Mapping out your money means creating a money plan to get you from where you are currently to where you want to be in the future. This is broader than a budget. It’s figuring out exactly how much you need to be spending, saving, and investing every month to reach your goals 20, 30, or 40+ years down the road. Your money plan acts as a map to guide every financial decision you make. Imagine trying to go somewhere and hopping in the car, turning on Google Maps, but refusing to let Google know your current location or where you want to go. You’d just be driving around aimlessly hoping that you’d someday, somehow arrive at your destination. Of course, you’d never do that! So don’t do it with your money either. Whether it’s learning about investing, starting a side hustle, learning a new craft, or honing your skills at your day job in preparation to ask for a raise… you should always be learning and growing. What made it go well? What are some actionable ways to make my desired improvements? This process helps keep me focused on my goals. And it ensures I’m continually moving forward in my work and personal life. Taking time to make my bullet journal pretty is also relaxing and enjoyable for me. It helps me start and wind-down my day the right way. So it’s a win-win. 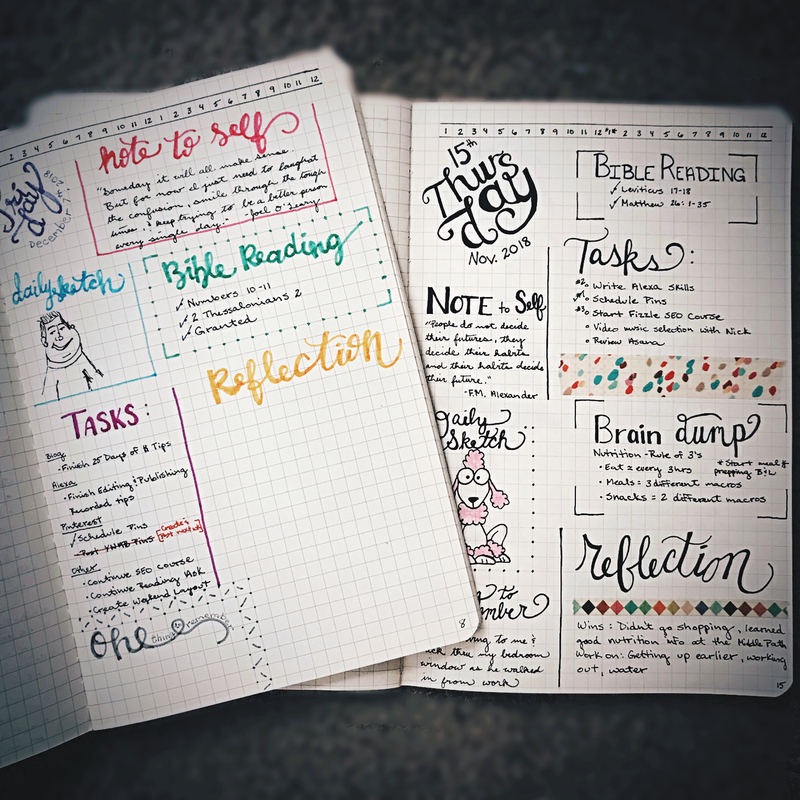 Here are a couple of my favorite bullet journalers whose resources helped me get started: Boho Berry and Matt Ragland. Remember, you can keep this process as simple as you want. So don’t let Pinterest images of elaborate morning journal routines keep you from starting the habit. 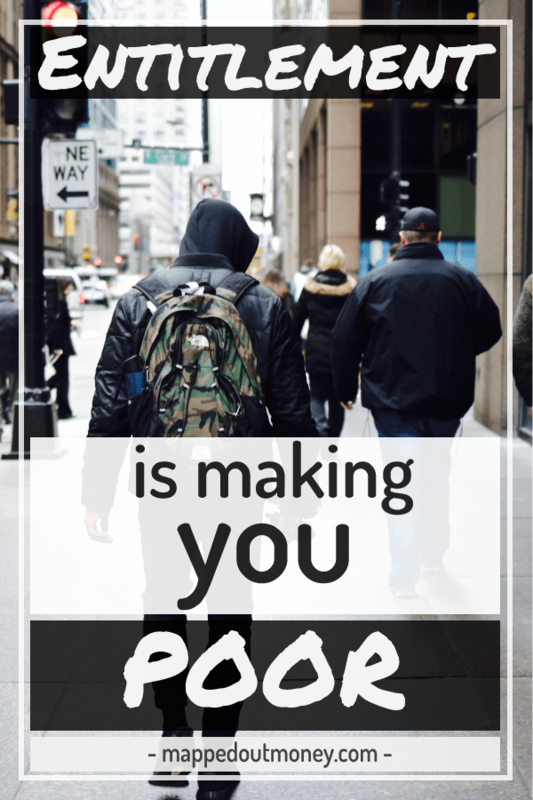 You need to grow the gap between your earnings and your spending. The bigger the gap, the more you’ll be able to save and invest. Most people do this by focusing on decreasing their spending. And that’s always a great option. But you’ll inevitably reach a point where you’ve cut your budget just about as low as you can go. So don’t neglect the income piece of the equation. With high-speed internet at our fingertips, side-hustle options have never been so plentiful. Make sure you take advantage of the opportunity. There are lots of resources out there for finding the right side hustle, but one of our absolute favorites is Pat Flynn at Smart Passive Income. You don’t need to try to conquer all these areas at once. Just understand that each piece of your financial puzzle is important, and figure out which piece you need to be working on NOW. Ryan Poirier, senior analyst at S&P Dow Jones Indices, says even if an active manager beats the index one year, there’s less than a coin flip chance that the manager will beat it again the next year. 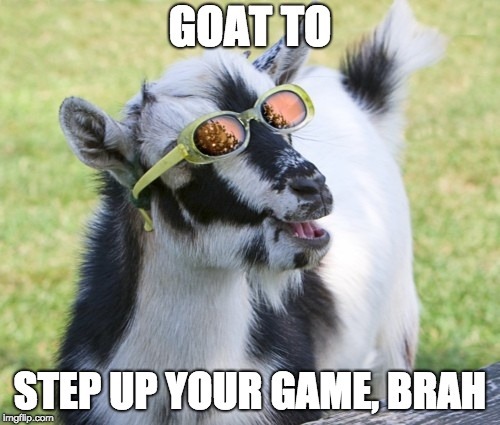 You’re investing for the long-term game. So there’s no point in trying to time the market. Just choose a broad stock market index fund or a target day retirement fund, contribute to it every single month, and then stop worrying about your investments! Whenever you’re listening to media of any kind, you have to understand their motivations. Hopefully, they’re motivated to help, entertain, or educate you. But they are also motivated by making money in order to keep their job, fund their company, or maintain their lifestyle. Since most media companies make their money through advertising, they’re highly motivated to keep you watching or listening. And one of the best ways to accomplish that is through fear and negativity. 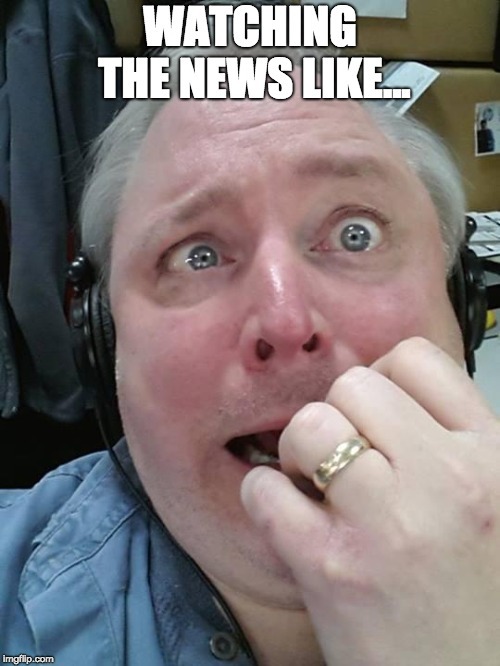 People are naturally worried about bad things that might happen, so when mainstream investment news focuses on the negative, it keeps viewer retention high. So I want you to question the intentions of all media, including these daily money tips. Our intention, first and foremost, is absolutely to help you with your money. We also have to make a living, which is why we promote certain products that we believe in and get paid for 1:1 budget coaching. But you can rest assured we will never use fear tactics to keep your engagement. The bottom line is to be informed about what you’re listening to and any hidden agendas that might be lurking behind the message. In Capital Gaines, Chip compares life to a game of tug-of-war. He says that life got a whole lot easier for him and Joanna when they decided to pull together on the same end of the rope, instead of on opposite ends against each other. So how do you pull on the same end of the rope when it comes to finances? You sit down with your spouse and align your hopes for the future with how you’re managing your money now. Nick and I dedicate time at least twice a month to discuss our goals for the future and how we can make them a reality. And this practice has been extremely effective in helping us work toward our financial goals without killing each other in the process. If you and your spouse are struggling to get on the same page with finances, check out this article. Success doesn’t happen overnight. Patience is a huge advantage as you work toward your future goals. It took time for their parents to save money, buy a house, and accumulate the luxuries that most of us are accustomed to. So don’t get in a rush and buy things you can’t afford. And who knows, you might have a different perspective and realize you don’t even want those things once you can afford them. Recognize that you don’t instantly get everything you want. And sometimes, you never get exactly what you want (sorry to be the bearer of bad news). Be patient, focus on achieving your financial goals, and do your best not to keep up with the Joneses. Emergencies will always come up. It might be a pet catastrophe, your car breaking down, or losing your job. But it’ll always be something. Nick and I actually make a point to establish multiple emergency funds. We have individual funds for general emergencies, pet emergencies, and Airstream emergencies. If we combined everything into one emergency fund, it’d be easy to think we have plenty set aside. Ultimately, we’d lose our motivation to save. Splitting up funds helps us to remember how one emergency in any of our major areas (general emergencies, pet emergencies, and Airstream emergencies) can eat up quite a chunk of change. So expect the unexpected. And prepare for emergencies in advance so you don’t find yourself in debt when life happens. 25 – Personal Finance is PERSONAL! Merry Christmas from the True Zoo!! 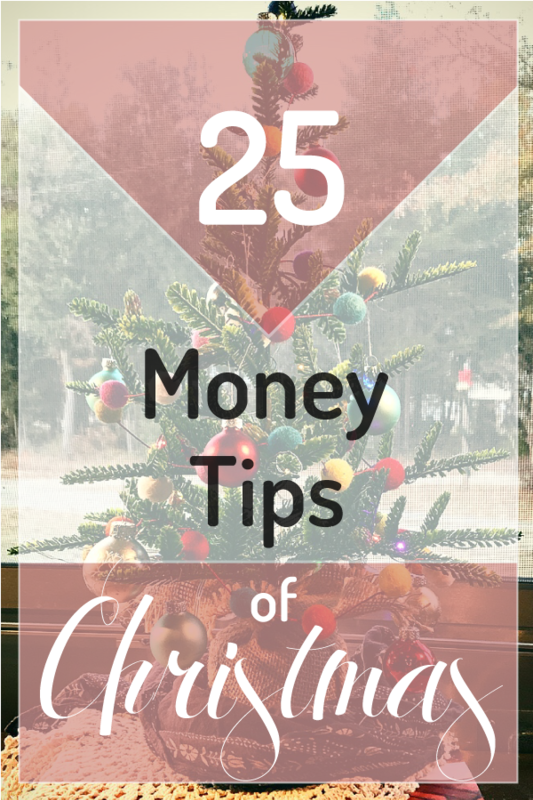 For our final tip in the 25 Money Tips of Christmas series, we want to remind you that personal finance is PERSONAL. These tips have worked wonders for us in our financial journey. But all of these may not apply to you. So remember to always tailor financial advice to meet your needs. 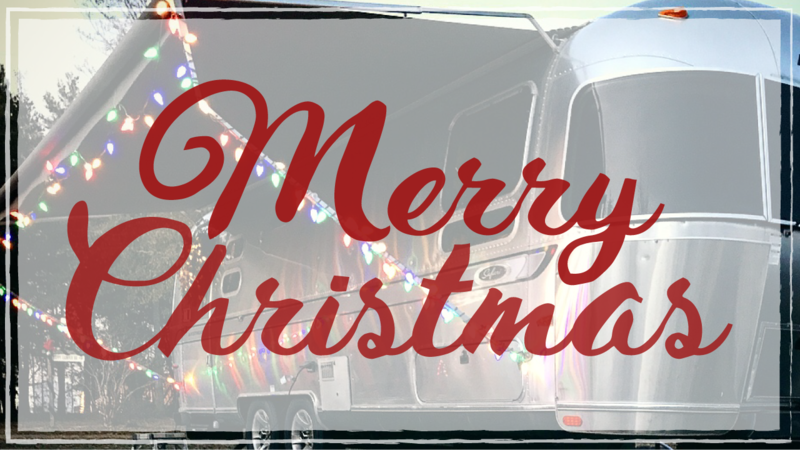 We hope you have a blessed day celebrating Christmas with your family!